Your access to the infinite wonders of the universe — and certain roads, trails and bathrooms near Griffith Observatory — will be temporarily cut off, starting later this month. 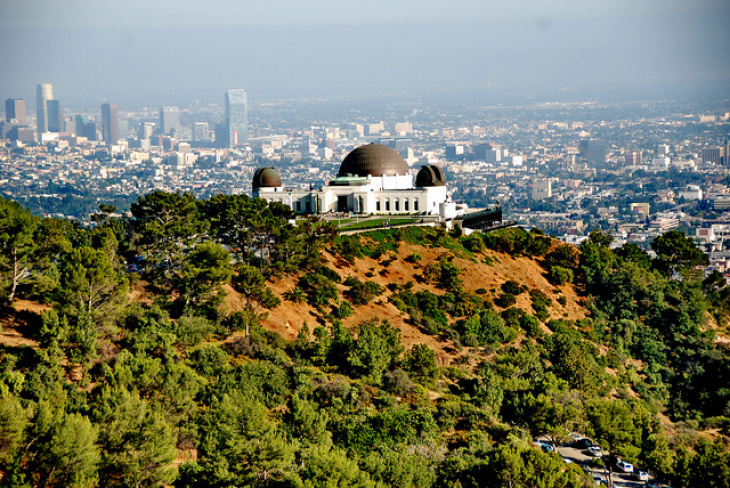 The observatory is closing for 15 days beginning April 22 so the city can blaze through four big construction and repair projects in and around the L.A. landmark, according to the Department of Recreation and Parks, which owns and operates the observatory. The closure is scheduled through May 6. 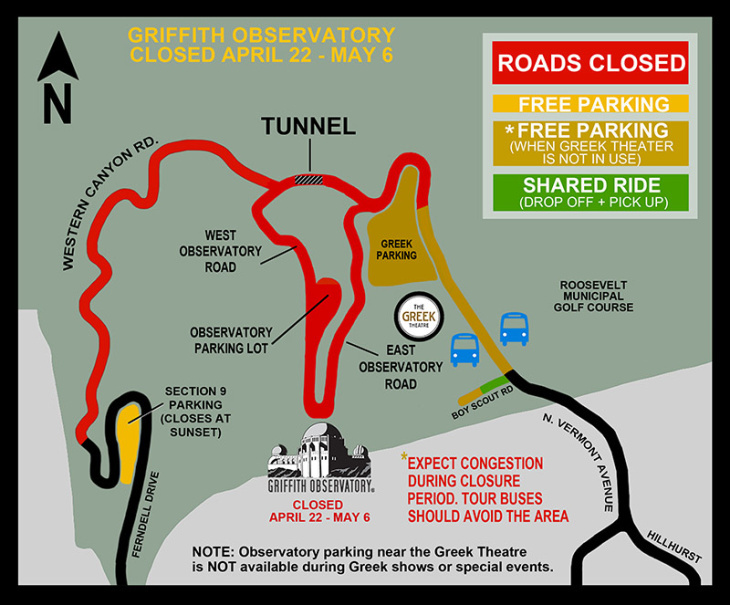 The shutdown also means no vehicles or bicycles will be allowed on both East and West Observatory Roads, the observatory's public parking lot, and Vermont Canyon Road past the Greek Theatre. Western Canyon Road will also be closed at Fern Dell for most of the closure period, officials said. The parks department also noted that DASH daily bus service that typically ends at the observatory will end near the Greek Theatre during the closure and advised ride share and tour bus drivers to avoid the area for the next couple weeks. Pedestrian access to the scenic hilltop area — including hiking trails that end on observatory land, exterior restrooms and spots to view the Hollywood sign — will also be limited. Mark Pine, deputy director of Griffith Observatory, said visitors will have to be patient now, but they'll notice the improvements during the busy summer season. "I think when they see what's all done, with the lights and the sidewalk and the parking lot, they will understand... because it will benefit a lot of people and it will do it right before summer when we get really super busy." Building a new sidewalk on East Observatory Road to "create a safe, continuous pathway for pedestrians from the Greek Theatre parking area up to the Observatory," according to city officials. For updates on the closures and the work being done, you can check the observatory's projects page. Emily Henderson contributed to this report. 2:43 p.m.: This article was updated with information from Griffith Observatory's deputy director. This article was originally published at 11:18 a.m.